The Kathmandu valley noticeably boasts a great number of cultural and historical sites recognized by UNESCO as the World Heritage Sites. These sites include Swoyambhunath Stupa/monksey temple, Pashupatinath Temple, Bouddhanatha Stupa, Patan Durbar Square, Bhaktapur and Changunarayan. The valley has perfectly blended different culture and lifestyle practiced in the region in its own way. The thousands of temples, pagodas, stupas and monuments of the valley made Kathmandu famous in the world as the City of Temples. The green hills and mountains enclosing the valley surround three medieval cities - Kathmandu, Patan and Bhaktapur. These ancient cities in the valley have an artistic temple, elegant historical palaces, brick-paved courtyards and old-fashioned streets. Besides these three cities, there are also a number of other important sites in the periphery of the mountains. On this tour, you will enjoy the astonishing sunrise view from Sarangkot Hill Station. Along with sunrise, we capture incredible mountain views including the top of the world, Mt. Everest. 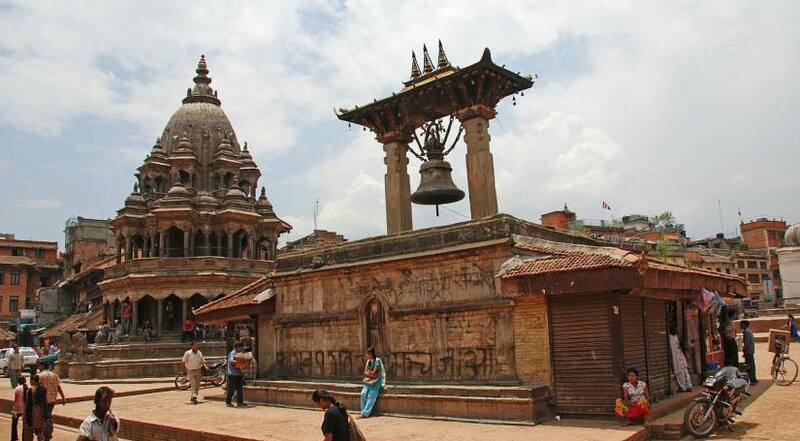 This special tour connects three major cities in the valley: Lalitpur, Kathmandu and Bhaktapur. These three major cities are live museum to the explorers. We also go to visit two other beautiful traditional cities nearby Kathmandu : Khokana and Bugamati. This 5-day Nepal Gateway to Ancient Cities Tour has been designed to fulfill the needs of those who wish to have a historical, cultural and religious insights of Kathmandu valley, or those who are on a pilgrimage tour to Nepal. After arriving in Kathmandu, a representative from Luxury Holidays Nepal will pick up from the airport and take to your hotel. In the afternoon, you may take a rest or visit Luxury Holidays Nepal’s office. At evening, we host a pre-trip meeting at your hotel in Kathmandu and introduce your tour guide. Please seek this opportunity to ask questions about your trip. This includes a final briefing and preparations for the trip. For the meeting, please make sure you bring your passport, one passport-size photo, and a readable copy of your travel insurance policy. During this meeting, please clear the due balance, if any. Please inform us in advance if you will be arriving late and therefore are unable to attend the pre-trip meeting. After the pre-trip meeting, there will be a welcome dinner hosted by Luxury Holidays Nepal. For dinner, you will be served authentic Nepalese cuisine, which will introduce you to the country’s food culture. 03 Days Sightseeing Tour: Patan, Khokana, Bungmati, And Sunset at Nagarkot. Khokana village dates back from the medieval age, and the village has been nominated to be listed as a World Heritage Site, with its mustard-oil seed industrial heritage. Bungmati is another medieval sleepy little village with a beautiful temple in the village square and medieval houses hanging onions and red chilies from their windows. After enjoying the ancient newar settlements and brisk walking around. Then we leave Nagarkot lying 32 kilometers east of Kathmandu at an altitude of 2,175m (7,136ft) above sea level. We stay overnight at Nagarkot to enjoy the magnificent sunrise and sunset views over the major peaks of eastern Nepal Himalayas including Mt Everest. Early in the morning, you will enjoy the sun as it rises from the mighty Himalayas. Next, you have breakfast then leave for Bhaktapur- the medieval city. First, we follow trail towards Changu Narayan, the oldest pagoda temple in the Kathmandu valley, and a UNESCO World Heritage Site. The route to Changu Narayan passes through small villages and farmlands with farmers working in their fields. This is the main architectural structure dominating the entire Durbar Square. This magnificent monument was built in 15th century AD. Seated on a huge column top in a position of prayer to God is King Bhupatindra Malla. This is the main entrance to the palace. The craftsman who worked on this wonderful gate must be from Heaven. It is an eternal beauty in itself. Some people call it a royal dream temple. Folklore says - once a Bhadgaon King, who was a great devotee of Lord Pashupati had a dream in which Lord told the king to build a temple for Pashupati right in front of this palace. This temple dedicated to a mother goddess is full of intricate work on stone. This temple is known for its dog-barking bell. This bell is believed to produce a death knell when it is rung up. It is the most famous pagoda of Nepal. Nyatapola in Newari language means fire tires - the symbol of five basic elements. This is the highest pagoda of Nepal ever built with such architectural perfection and artistic beauty. This temple is dedicated to Sidhilaxmi, the Tantric goddess of supreme power and success. Accommodation in Kathmandu (Hotel Mulberry or similar Category) and in Nagarkot (Hotel Himalayan Villa or Similar Category) in twin sharing bed and breakfast basis. Guided sightseeing tour in Kathmandu valley with private vehicles. Lunch and Dinner throughout the trip unless specified in day itinerary (Meal costs about 3 -7 dollars per item depending on the place where you eat). Luxury Holidays Nepal provides you 4 star hotels in Kathmandu (Hotel Mulberry or similar Category) and in Nagarkot (Hotel Himalayan Villa or similar Category) on twin sharing basis. If you want the luxury accommodation of 5 star in Kathmandu and Pokhara then contact us for cost detail. Accommodation in 4 stars hotel Kathmandu (Hotel Mulberry or Similar category) and In Pokhara (Mount Kailash Resort or similar category).